Mr. Rossi joined the firm in 2001 as a partner in the medical malpractice defense group. He has focused his career exclusively on litigation. Mr. Rossi has handled hundreds of medical malpractice cases from inception to close. He has successfully defended hospitals and physicians in numerous jury trials. He has been primarily responsible for the handling of many catastrophic cases, including claims for birth injuries, wrongful death, cancer misdiagnosis, meningitis misdiagnosis, and failure to monitor and treat various conditions. Mr. Rossi has also represented clients in product liability cases, including medical devices. In addition to his extensive trial and appellate experience, Mr. Rossi frequently appears as a guest lecturer to physicians, lawyers, and law students on medical malpractice issues. Mr. Rossi has been named Best Lawyers' Lawyer of the Year, Medical Malpractice Law - Defendants, Akron, Ohio for 2018. He received the same honor in 2014 and 2016. 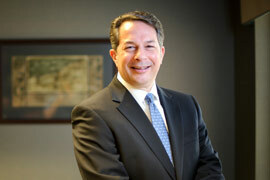 Mr. Rossi has been named to the Ohio Super Lawyers list from 2005 through the present. He has also been named as one of The Best Lawyers in America on numerous occasions. Mr. Rossi has achieved an AV Preeminent rating from Martindale-Hubbell Law Directory. Mr. Rossi is a Senior Fellow of the Litigation Counsel of America. The Litigation Counsel of America is a trial lawyer honorary society composed of less than one half of one percent of American lawyers. Fellowship in the LCA is highly selective and by invitation only. Fellows are selected based upon effectiveness and accomplishment in litigation, both at the trial and appellate levels, and superior ethical reputation.